Indispensable for every oxer jump – the safety cup SAFE & LIGHT VARIO. It is FEI-certified and available complete with impact-resistant plastic adapters. The complete cup product line implies variants for tournament and training. Appropriately for the implementation, alternatively you can use them for planks and gates or for insertion of poles. 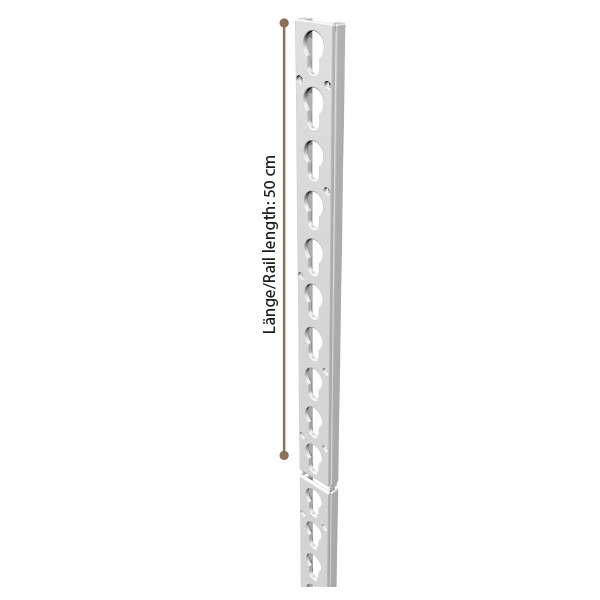 All supports are matched to the keyhole rail system with a diameter of 24 mm. The obstacle rails can be used individually with the Ø 24 mm series keyhole rail system. They are available in metal and plastic versions. The metal variant is made of galvanised steel and thus is particularly weather-resistant. The plastic rail also has these features and is reinforced with glass fibre. The particular advantage in this regard is that the rail can be flexibly extended through a socket system. 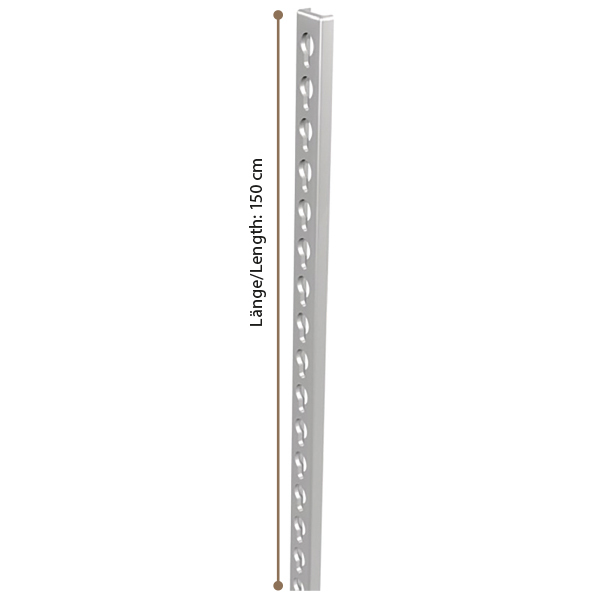 To completely fit a side part with a plastic rail, a total of 3 rails, each 50 cm are required.